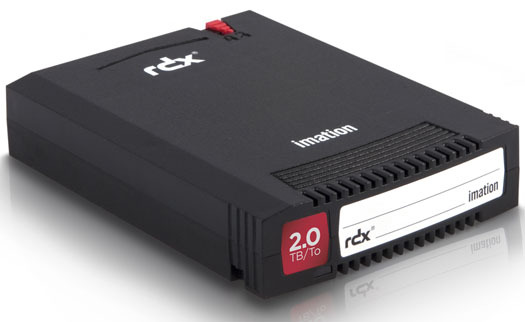 The Imation RDX removable hard disk storage system makes data back-up easier, faster, more reliable and more secure. Its enterprise class features provide the data protection of large IT data centers, so it can support companies as they grow, and all at an affordable price. As your data needs expand, simply add more removable disk cartridges to meet your changing business needs. This scalability means your investment is completely protected like no other computer storage product. The RDX connectivity options allow you to easily integrate systems and servers.